Vladimir Putin called “bluff and nonsense” the attempts to blame Russia for the 2010 crash of the Tu-154 plane with Polish President Lech Kaczynski. “We are tired of such bluff, we’re just tired, it’s weird and some kind of nonsense,” the Russian president said, responding to a Polish journalist’s question during the annual live Q&A press conference today. The head of state reminded that experts have repeatedly answered the question about a possible explosion on board the liner. 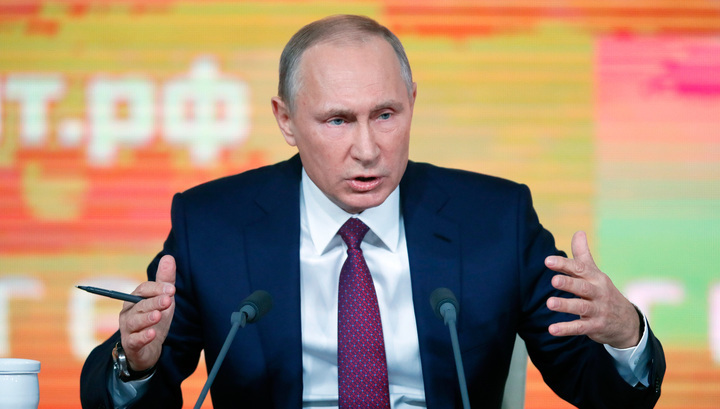 “There were no explosions, it was all studied by experts from both the Polish side and the Russian side.” In a very careful manner, everything that happened inside the aircraft was inspected” Vladimir Putin said. If we assume the possibility of an explosion, the Russian leader continued, it is worthwhile to look for the cause where the plane took off. “Did the plane take off from Moscow or from Warsaw, where would it have been planted? Look there I suggest,” Putin said. The Tu-154 plane, flying from Warsaw to Smolensk, crashed during the approach to landing on April 10, 2010. The crash killed all who were on board, including, the President of Poland Lech Kaczynski and his wife.